Growing up most of us were inundated with visions of love that were based on people and things outside of us. Most of us were shown that love is based upon what someone gives to another person. One of the closest ideas that love begins in the heart is the movie “It’s a Wonderful Life”. George Bailey, played by Jimmy Stewart, helps quite a few people in his life from his brother who almost drowned to a whole community of people to be empowered to own their own property. After a very costly mistake by his uncle, he decides that he would be better off if he had never been born. *SPOILER ALERT* George finally discovers that the people currently in his life would not be doing as well if he had never been born. So what’s the point? George Bailey loved from his heart, which was why he was driven to do all the things he did to help others. Love begins in the heart! It is internal and then moves externally, just like magic...literally! In order to call love to you, you must first be love. What does that mean? It means “like attracts like”. During this holiday season, many of us try to show our love for each other by the gifts we give. 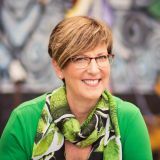 There are quite a lot of people who become incredibly stressed during this year, and others who become incredibly depressed because they do not feel what they are able to do is sufficient in expressing the love during this time. Hmm...it sounds like it’s time call the love up that’s within you. Be like George Bailey and recognize the love you have resides within. How do you awaken the love within? There are many techniques to discover or awaken the love within. 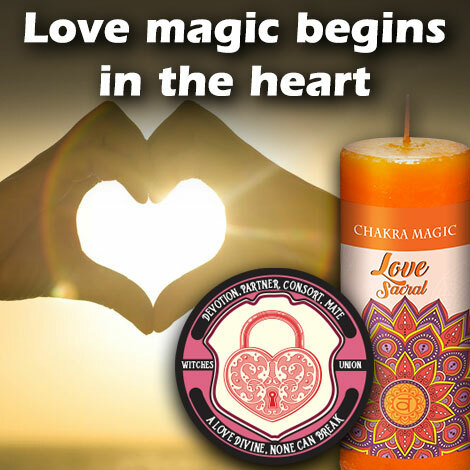 An effective way is to use our Chakra Magic Love candle in combination with the Witches Union Love Magic Patch. The Chakra Magic Love candle focuses on the Sacral Chakra which is located right in front of the bladder. The chakra is also known as the “water” chakra which makes total sense as love flows like water. The Sacral Chakra also relates to passion, focus, and drive-- ”What you focus on grows!” Let’s focus and grow love! Remove all the packaging from the Chakra Magic Love candle, place in a candle holder, and light it saying “Sacral chakra glow and grow into a brilliant orange sphere filling me with divine love from the tips of my toes to the top of my head.” Hold on to the Witches Union Love Magic Patch and focus on the locket. Imagine a key fitting into the locket and unlocking it releasing all the love that has been contained within you. Repeat this daily until the candle is consumed. Afterward, if you choose, you can then follow the instructions on the Love Magic Patch to either call a love to you or to strengthen the love that you have. For more information on our life-changing Coventry products, visit our website and don’t forget to sign up for our newsletter here for more Coventry magic delivered right to your inbox.